Kelly McCambridge believes the two most important things that we have to give in our life are our love and our labor. She lives by this philosophy every day and wholeheartedly gives her clients her time and her commitment to helping to make them whole again. She loves being able to serve women in her community and respects her clients for having the courage to stand up against unfair workplace practices. Kelly is principled in her belief that workplace equality is an essential right, no matter your profession and thrives on helping great people achieve great results. Before going to law school, Kelly studied communications at Truman State University and worked as a social worker and as a non-profit fundraiser. Kelly knew that she loved working for the betterment of her community and had always desired to be a lawyer so that she could help people solve their problems and obtain justice. After having her first child, Lucy, she decided that she needed to follow her dream of being a lawyer. Only by doing so would she hold credibility when telling her daughter to follow her dreams and be all that she can be. Kelly, with the support of her family, put everything on hold, and went back to school. Her efforts were worth the sacrifice. While studying at the University of Missouri-Kansas City School of Law, Kelly student clerked for the Honorable Scott O. Wright at the United States District Court of Western Missouri, a rare opportunity to learn from a true master in the legal profession. She was also named to the highly competitive Order of the Barristers for her skills in advocacy and was honored as the top trial advocate of her graduating class. She competed nationally on her school’s trial team and developed the skills necessary to successfully advocate for those brave enough to stand up for their rights. In 2008, Kelly founded McCambridge Law. Since then, she has remained focused on helping women fight for justice and has been recognized by her peers for her success, honesty, and advocacy. In 2010, she received recognition as an Outstanding Community Member, “For improving the position of women in the law and the community” by the Association for Women Law Students, UMKC Division. Also in 2010, Kelly was named one of the Top Ten Winningest Plaintiffs’ Lawyers for the entire state of Missouri and McCambridge Law was named one of the Top Ten Winningest Firms by Missouri Lawyers Weekly. In 2011, Kelly was named as an Up and Coming Lawyer for the state of Missouri, by Missouri Lawyers Weekly. In 2012, the Kansas City Metropolitan Bar Association awarded Kelly the Young Lawyer of the Year Award. 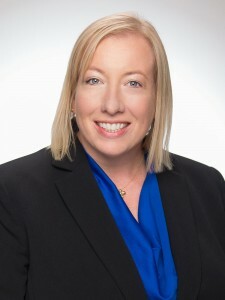 In 2013 and 2014, the Kansas City Business Journal ranked Kelly as one of the Best of the Bar in the Kansas City Area and she was named as a Rising Star for Missouri and Kansas, by Super Lawyers. Kelly is very grateful for the recognition she has received and is thankful to her clients and knows her success would not be possible without them. Kelly presents free career seminars and counseling at the Women’s Employment Network and mentors women entering the legal profession. Kelly’s family is proud of her for following her dreams. Her daughter, Lucy, knows that she can grow up to do anything she is willing to work at, just like her mom. Kelly McCambridge’s practice spans the areas of employment law, wrongful death, and serious injury. She represents clients throughout Missouri and Kansas and is licensed to practice law in Missouri and Kansas. Kelly also serves as a Mediator in cases of personal injury, employment, and family law.